You know I swear by the power of prioritizing your smile, and always try to stay on top of my dental health routine. However, considering how much else there is to keep track of on a daily basis, keeping your teeth and gums strong and healthy can sometimes be more challenging than you might think. If you needed a little guidance with improving your dental health routine, try a few (or all three) of these suggestions. Take it from the professionals at this locally-based East Bentleigh dental clinic: you don’t want to go from clinic to clinic searching for specific services. It’s always best to get yourself a quality dental clinic that can guarantee all services performed to a high standard. Think of it this way. It’s recommended that you see your dentist at least twice a year in order to stay ahead of any harmful plaque build-up, gingivitis, gum disease, or other undesirable issues that our teeth can be subjected to. For those of us who know of any predispositions we might have to develop dental health concerns, it’s imperative that you do those recommended two visits as well as some additional visits throughout the year. A good dentist will help you recognize any predispositions you might have and can develop a dental health routine that’s completely catered to you. Good dentists will also be able to recommend procedures and even preventative care routines, that will allow you to be proactive about your dental health. And, like all doctors, dentists recommend being proactive above all else! The best dentists will support you in caring for your own teeth first and foremost, but will still be there and will be prepared if they feel you need a procedure of any kind. Developing a good relationship with a quality dentist will make caring for your teeth a hassle-free habit. #2 – Be mindful of what ‘clean’ teeth feels like, for you! It goes without saying that our mouths feel superb after getting a dental clean. And a lot of us write off that feeling as a sensation we’ll only really get to experience only once or twice a year. But dentists advocate making that feeling for yourself simply by brushing twice daily, as well as regularly flossing and using an antibacterial mouthwash. Remember that your teeth are as unique as your fingerprints. Building your routine should begin with a one-on-one discussion with your dedicated dentist. Once you’ve got your game plan and follow it for about two weeks, you’ll start to naturally become more in tune with the way your teeth are feeling. You’ll know for yourself when you’ll need to show your teeth some love. I know that in reality, a lot of us feel like we don’t have the time nor the patience to floss and use antibacterial mouthwash on a regular basis. 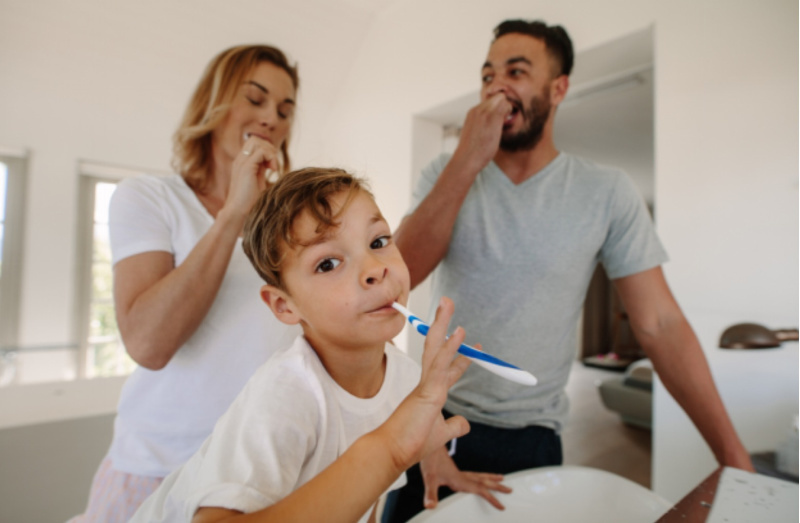 What we can do is try and be aware of how we feel when we have thoroughly cleaned our teeth, and take the necessary steps to ensure that that ‘clean teeth feeling’ sticks around for as long as we can get it to. I’ve always said that above anything else, healthy eating is the key to maintaining a healthy lifestyle. Cutting down on your sugar intake and eating healthier is always a sure-fire way to achieve this as well as keep gum disease at bay. Lowering your sugar intake will also mean that that ‘clean teeth feeling’ will definitely stick around for longer periods of time, meaning you won’t have to spend as much time on them every week. A few years ago I went on a camping trip that had me eating a lot of small snacks, some not as healthy as I’d have liked. It was only upon coming back home that I realized the full impact all that sugary food had on my teeth. It doesn’t take that long at all for plaque to build, especially when you’ve been consuming sweets. Now, when I pack for long trips, I make sure I bring a pack of pocket floss or floss picks because I know that I prefer how my teeth feel after good flossing. And I don’t expect you to lug a bottle of antibacterial mouthwash with you wherever you go, but dissolvable oral care strips make for a great makeshift mouthwash. It’s all about building up a routine, and doing what feels best for you! Nailing your dental hygiene ritual is the first step in practicing consistent self-care. Believe me, once you get into the swing of showing your pearly whites some extra TLC, you’ll be on the path towards a healthier you.